The Al-Farabi Kazakh National University and the Islamic Educational, Scientific and Cultural Organization (ISESCO) with the support of the National Commission of the Republic of Kazakhstan for UNESCO and ISESCO, the Kazakhstan National Committee of MAB UNESCO will hold in Almaty the 1st Regional meeting of ISESCO member states on network development of biosphere reserves. Representatives of ten ISESCO member states – Egypt, Pakistan, Indonesia, Turkey, Iran, Azerbaijan, Kazakhstan, Kyrgyzstan, Tajikistan, and Uzbekistan, including heads of all 10 Kazakhstan biosphere reserves and national experts, as well as international consultants from Russia and China will participate in several workshops within the meeting. Participants from the relevant organizations such as UNESCO, UNDP, IUCN, etc. and representatives of key governmental agencies and local communities in Kazakhstan will also take part in the event. A total of about 50 participants from different countries are expected to attend. The meeting will be held on the theme “Biosphere reserves in the conditions of climate change and biodiversity loss”. The main focus of the discussion will be focused on the Lima Action Plan and the Biosphere Reserve Development Strategy within the framework of ISESCO activities. 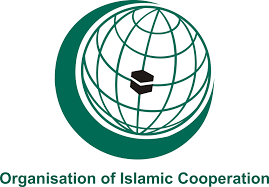 The main goal will be to develop recommendations for the implementation of the Lima Action Plan in the context of the characteristics of Islamic countries. Within the framework of the meeting there will also be an exchange of experience of the member states in the sphere of creation and management of the BR, visiting the Charyn BR, reviewing the latest achievements and setting new development priorities.